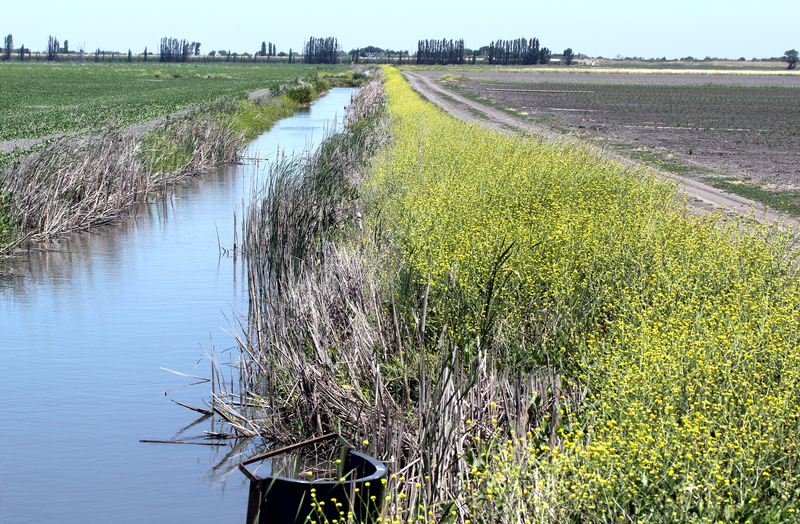 For 40 years, Tom Hester has helped run an agricultural empire on Ryer Island in the Sacramento-San Joaquin River Delta. His dad managed it before him. Now, thousands of acres of pears, apples and cherries, canning tomatoes, alfalfa and wheat is currently in his experienced hands. It’s one of the largest operations in the region, with some of the oldest water rights in the state. 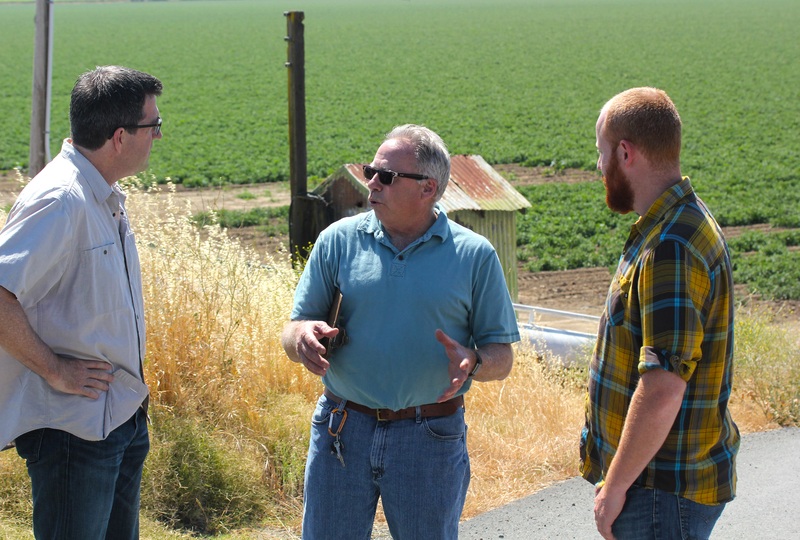 Like most agricultural production in California, Hester and his team are navigating new regulations set forth by the state after years of historic drought. Passed in 2015, Senate Bill 88 made it mandatory for those diverting more than 10 acre-feet of surface water per year to install calibrated meters by January 1, 2018. An acre-foot, or one acre covered by one foot of water, is the amount of water used by one or two five-member families in a year. Hester and nearly 12,000 other diverters were charged with figuring out how to comply. Under SB88, more than a dozen diversions on the farm would have had to been metered by expensive equipment that can run between $3,000 and $10,000 to install. Hester started looking for alternatives. The Freshwater Trust (TFT) proposed one. The Delta Watermaster approved it. Instead of installing meters, which can often be unreliable, irrigators will be able to meet the requirement of the new law by working with TFT to combine real crop and water management data with state-of-the-art models and remote sensing technology. This alternative will create a more accurate picture of actual water use. SB88 allows for alternative proposals for compliance where significant technological barriers to the implementation of meters exist. The Delta certainly presents such barriers. Hester is familiar with the hurdles of both the meters and the nature of the place he farms. 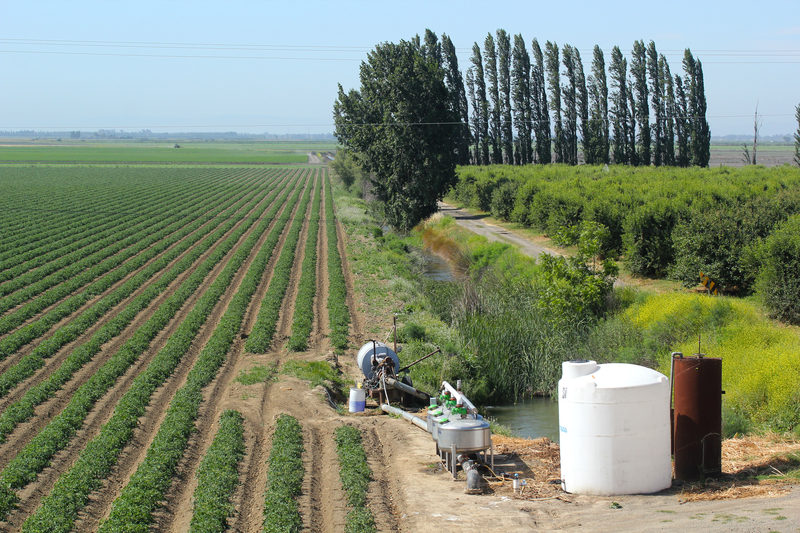 Ringelberg explained that to get a handle on freshwater in the entire state of California, you have to have a finger on the pulse of the Delta and be forming strong connections with its irrigators. The Delta has been referred to as the “nexus of California’s statewide water system,” providing water to the San Francisco Bay Area, as well as exports to coastal and southern California. It’s also among the most agriculturally productive regions in the country, covering more than 1,100 square miles, with nearly 75% in production. The Delta is naturally rich in groundwater, making it resilient to droughts and potential climate change impacts to weather. However, because the islands are surrounded with surface water, it is simply easier to let gravity siphon that water to the fields. And it’s one of the largest estuaries in North America, supporting more than 20 different fish species and hundreds of other plants and animals. Hester said while they had good water throughout the drought, they’re starting to see a shift to drip irrigation and other efficiency methods across the region. Many parts of this region have shifted over the past two decades to wine grapes, which require considerably less water than most other crops. The grapes are irrigated using drip lines that run along the top of the roots. This reduces the amount of water lost to evaporation and allows the farmer to fertilize directly on the roots, called fertigation, dramatically reducing runoff of agricultural chemicals. Hester sees SB88 as an opportunity to true things up and prove water isn’t being overused. After 40 years, he knows what it takes. But with the owners having recently put the operation up for sale, it may be time to retire. His two daughters in their twenties won’t be managing a farm the way Hester followed his dad. One is a high school English teacher. The other has a global studies degree and is on her way to Barcelona. His wife, a schoolteacher, is ready to travel, too. Right now, Hester defines his job as “chasing problems.” He’d like to play more golf. To date, more than 200 irrigators like Hester have partnered with TFT and opted to use their alternative plan for compliance with SB88. 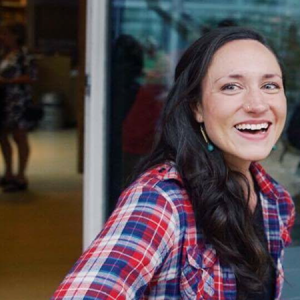 To learn more about the program and The Freshwater Trust’s work in the state of California, contact Erik Ringelberg at erik@thefreshwatertrust.org or call (916) 668 7345.